The Head and the Heart at Terminal 5, New York, NY, 10/21/2016. Last Friday, Seattle folk heroes The Head and the Heart filled the massive hangar of Terminal 5 in support of their new album, Signs of Light. Lead singer Jon Russell noted that despite how big Manhattan is, he ran into old friends just walking down the street. That sentiment of hospitality filled the 3,000-seat venue as the group launched into a set spanning all three of its records. Paste photographer Cortney Armitage captured the evening in the gallery above. 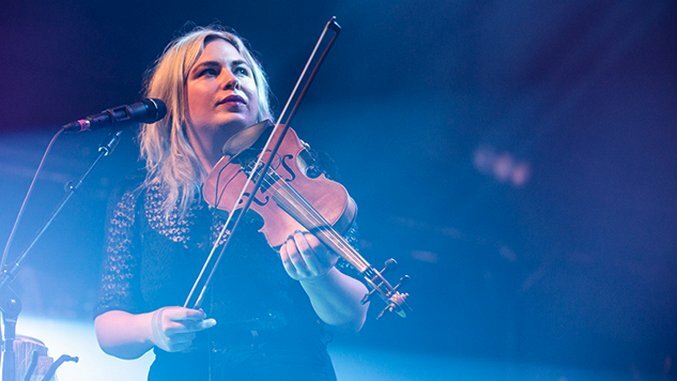 Check out The Head and the Heart’s tour dates across the United States and Europe.